Alpine flowers make the meadows colorful. The mountain summits seem close enough to touch. In summer, the Arlberg is beautiful too: Alpine flowers make the meadows colorful. The mountain summits seem close enough to touch and you will enjoy the clear, fresh mountain air. Climb a summit or go an easy hike, experience the beauties of our nature. The days are pleasantly warm, but not hot. The nights are starry and clear. Experience the peace of a mountain village. On two occasions, two places in the Arlberg Mountain Region have been voted the most beautiful places in Austria: The Lake Formarin and the Lake Körber. Lake Körber (Körbersee), surrounded by the Lechtal Alps south-west of the Hochtannberg Pass, is a well-hidden gem which in summer season is only accessible by foot. The mountain scenery will amaze you: Braunarlspitze, Juppenspitze and the Widderstein. There are many rare plants in the Nature Reserve. The Lake Formarin (Formarinsee) is well guarded by the Rote Wand which with 2,704 meters is the second highest mountain in the Lechquell mountains. The lake is a popular destination and can easily be reached with the hiking bus of Lech, so tourists who are not very good on foot, can also enjoy this natural spectacle. Enjoy hiking in the Alps. A summit tour or a leisurely walk amid lush alpine meadows. Which would you prefer? The paths are well signposted, cozy retreat opportunities are numerous and those who like to take it easy can use the “short cut” with the summer cable cars. 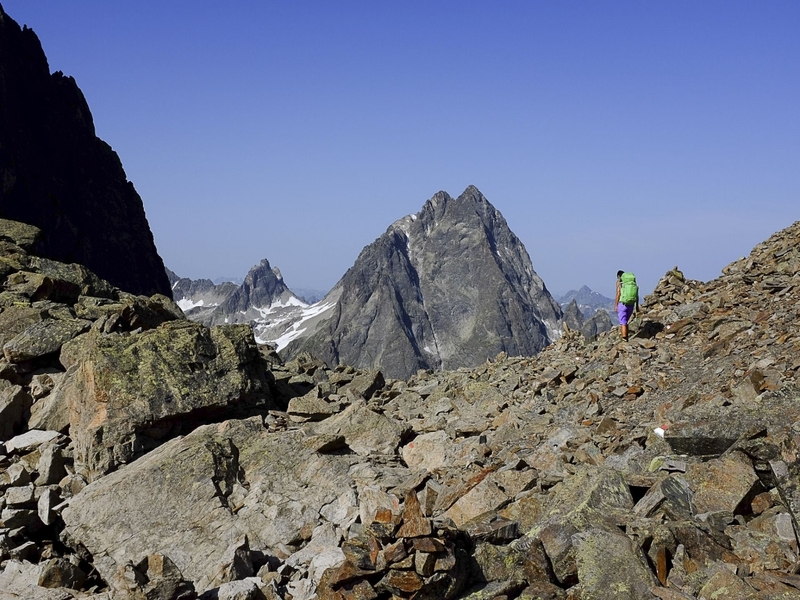 Sporty people can hike the green ring – a very special experience: The three day hike takes you along the winter slopes – and lets you enjoy the world of the Arlberg legends and the flowering splendor of a mountain summer. Play golf in the romantic Zug Valley: 19 hectares, 9-hole, for both beginners and professionals. The fairways are designed in a way that Golf players have to cross the Lech River several times. Not only for kids is the Lecher forest swimming pool. Laid out like a mountain lake in the middle of the deep green forests of the Zug Valley. Pleasant water temperature (25°C). Long water slide, large children’s pool. 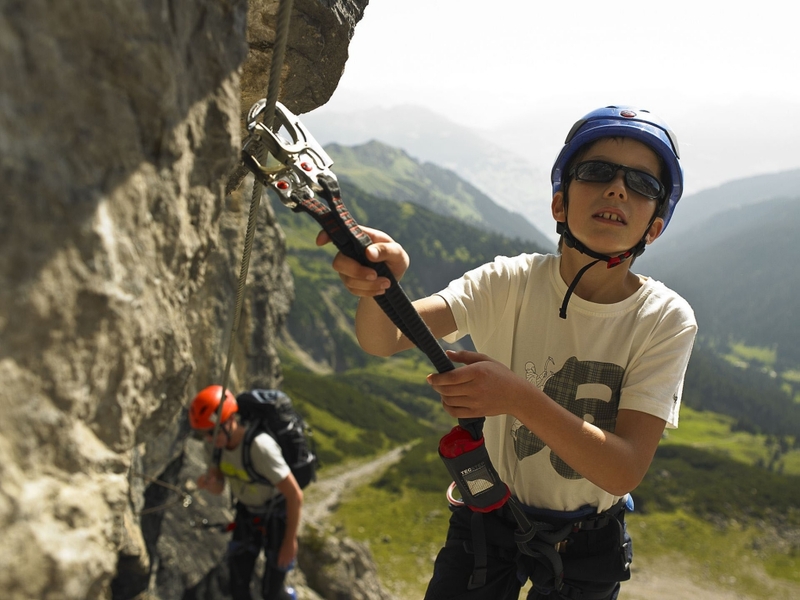 Sports Park Lech – for days with not so good weather: Tennis courts, bowling alleys, via ferrata, aerobics, dance and an extensive sauna landscape. Those who just want to relax on our terrace can do so on comfortable terrace furniture with cushions. 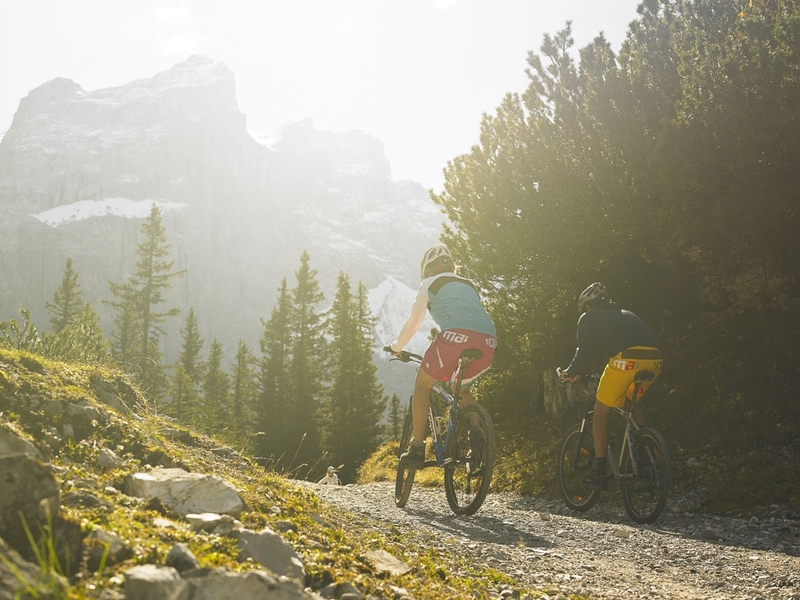 The My Lech Card gives you access to all summer offers of Lech and Zürs am Arlberg. If you stay for at least two nights you can purchase the “My Lech Card”. My Lech Card is available for 3 days (€ 24), 7 days (€ 40) or 14 days (€ 68). Each card can be extended for a limited amount of days. The card is free for children under the age of 14. Seniors over 70 are eligible for a 30 percent discount.